How many times, have you spoken on the phone, speaking ill of others. Or talked about a friend of yours to another friend. Sometimes even talked ill of your own mother or boss, or in-laws? All the time, right. What’s the big deal you may ask? Here’s the big deal, apart from being considered to be the biggest sin in our religious text, this is the number 1 time killer and even peace killer. Your inner peace dies instantly, being replaced with negativity and frustration. Wait a minute, Sin, what the hell is that? Never heard of this word in a decade, or maybe your entire lifetime? Yeah, the current generation or those in their 20s or 30s may not have heard of it. But people born earlier and hitting their 40s and 50s would definitely know this word. In the last 2 3 decades, the right and wrong, virtues and vices have all been blurred. It’s ultimately “do as you please” mode for the majority since 2 3 decades. Earlier it used to be, listen to your elders, don’t talk ill, respect time and what not. A morally obliged society, and we used to gel really well with this mindset. Now, it’s each one to its own. And we have insomnia, depression, anxiety, stress, anger, frustration, impatience, and a long list of problems. Doing things the right way and opting to be on the right side, doesn’t hurt all that badly, is what we need to understand. A society should be high on morals, and not on GDP or economy. A sin is a sin, whether you are a forward thinker or backward. You are bound to die, however forward you may be. You two are, going to be affected by laws of nature. And these laws say there is no greater sin than gossiping. So what is such a big deal, here? Turns out, when you talk ill of others, you are actually absorbing all their negative karmas and negative energy and getting into a vicious circle. Imagine, your karma balance going reverse when you are actually not doing anything evil. So if you are doing nothing to increase your karma balance, and these activities are on. Won’t you turn bankrupt one day just by backbiting? So why would you do it? For pleasure, but is it really worth for momentary pleasure and let me tell you, it even brings guilt a moment later though. 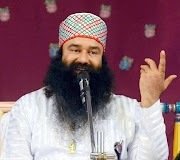 Baba Ram Rahim even exhorts that even though gossiping or backbiting may be very tempting, but giving in, to this temptation, you are even putting your generations into this vicious circle. In fact, we need to watch out for every activity of ours. Our DNA is recording every information and you never know which act of yours gets recorded and gets passed on to your generations. Negativity, small talk, falling prey to petty arguments, insecurity, jealousy, you need to guard yourself against all these evils. They do more harm than seems. Guarding your property is not that a big deal, guarding your own thoughts, actions are imperative for a healthy mind, body, and soul. 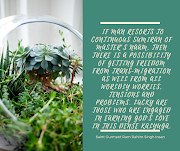 In fact, the best would be to ignore every negative thought that comes up, every temptation to talk to somebody to discuss situations, temptation to put someone down. Each of these is killers of your inner peace and tranquility and rob you of your precious time, which could have been invested in doing something great. 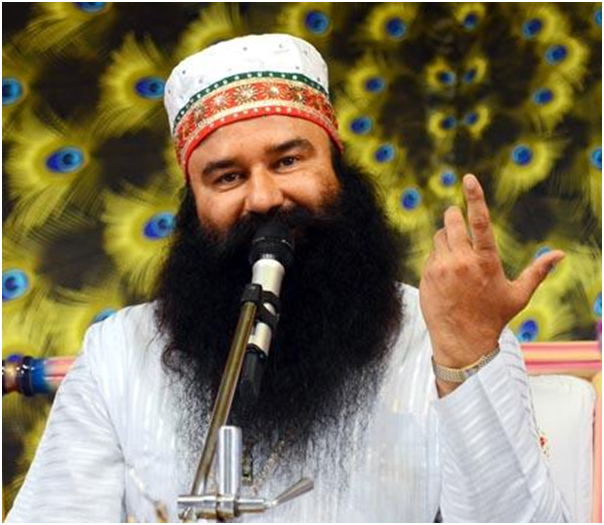 Indulge in true form of meditation, as taught by Baba Ram Rahim Guru Ji. Meditating on God’s words, one can find real god within himself. No more running around and doing various rituals, or practices to impress God. Your virtues and thoughtful actions, in turn, impress him. Think good for all; pray for everybody, these are the actions that increase your karma balance. 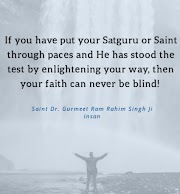 Baba Ram Rahim Ji has even asked his followers to meditate within on God’s words, while doing chores or traveling or any activity you take up. This meditation will save you from all the Games that your mind plays against you, giving various thoughts and negativities.